A very healthy snack for breakfast ,dinner or tea-time. 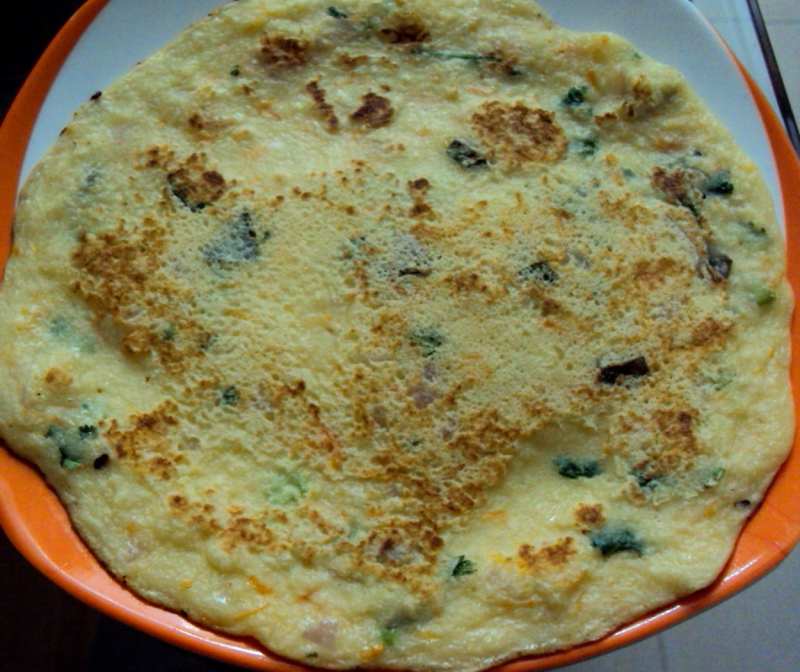 U can add any grated vegetables that u find as good adding to this dosa batter.This one will turn out crisp and yumm.Try this at home and enjoy. Mix the wheat flour and water and make it into a batter.Blend this and the bread slices with corn flour in a blender.Add this to the egg-veggie mixture.Mix this well. Serve these dosas hot with tomato-onion chutney or any jam or with dense ghee(3 tbsp) and sugar(2 tbsp) mixed together or with any ketch up.